Very beautiful antique french pair shoes. 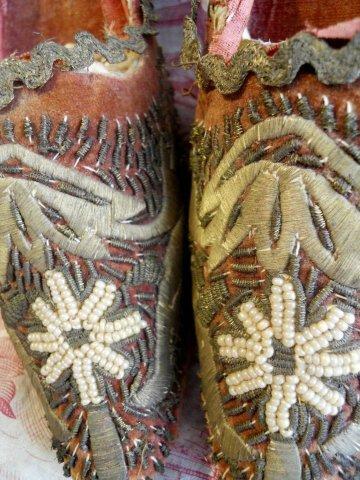 amazing antique gold metallic embroidery and cream beads . Below, the base is changed. It's rare and unique model for collector. 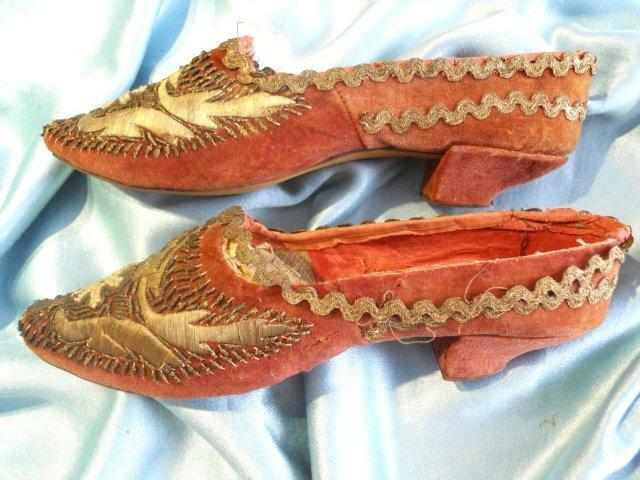 My guess is about the 1780's for these. 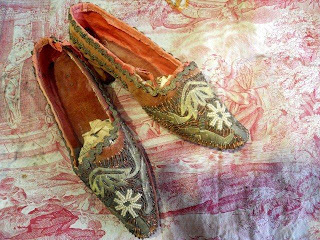 Check out the embroidery on them! 1870s or 80s. The square cut between heel and sole, the construction method, and the square/round toe shape all point to the Victorian copying of 18th c. styles. 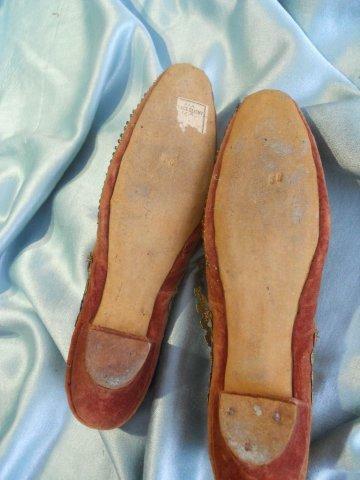 Is it possible the original heels where broken off and new ones were added? The embroidery is very 18th C - granted, they could have just taken some 18th C fabric to cover the shoes- but the lasts look straight. 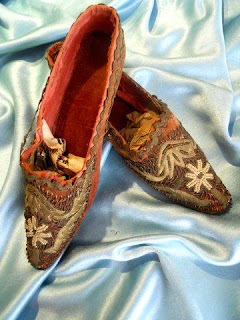 Maybe they took a pair of Regnecy slippers and added the heel? It just looks very odd even for a Victorian Costume piece. The master of the CW shoe shop recently went to a European museum and made a study of their shoes. About a third of their "18th century" were late 19th! History is trying to sabotage us all!